A knife that isn’t sharp enough to smoothly cut through meat is more than a frustration. Butchers and chefs rely on a quality knife to keep up with orders, making sharpness a necessity. Professional butcher knives can be used for preparing meat with ease at home too. They are necessary if you plan on preparing your own food from hunting or handling large pieces of meat. Premium butcher knives are usually long and slightly curved to slice meat with greater ease and control. Continue reading to learn more about what characterizes a butcher knife and the top five butcher knives to own. A butcher knife is a heavy knife designed for slicing through thick cuts of meat. Butcher knives are heavier than chef’s knives and usually feature a curved blade. The end of a butcher’s knife has a larger girth than the handle. This unique design makes butcher knives good for breaking down cuts, trimming meats, chopping, and slicing. Professional butcher knives have high carbon-steel content and are commonly forged. Carbon-steel increases the sharpness of the blade. Forged knives are stronger and heavier than stamped steel knives. What the handle is made of matters too. You want a butcher knife that won’t easily slip out of your hand. Look for knives with textured handles, high nylon content, and ergonomic shapes. If you plan on using the knife for hogs and spit roasts, ensure the blade doesn’t have ridges or recessed areas. Fat can lodge inside the crevices and make the handle too slippery. Victorinox, Ontario Knife Company, and Dexter-Russell are popular butcher knife brands. Headquartered in Switzerland, the knife manufacturer Victorinox is known for its quality Swiss Army knives. They also specialize in professional knives. Suitable for use in five star kitchens, their butcher knives are sharp and ergonomic. Ontario Knife Company (OKC) is an American premium knife manufacturer that was founded in 1889. They are a major supplier of knives to the U.S. military and have excellent butcher knives for chefs. This butcher knife features a high carbon stainless-steel blade and black fibrox handle. The blade was conical ground, giving it a wider break point. It was ice tempered as well to boost sharpness and edge retention. 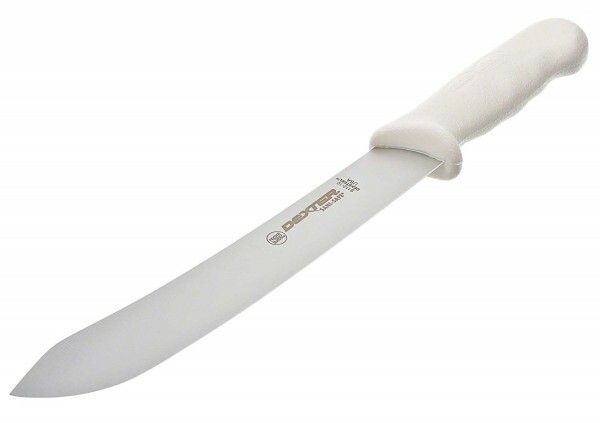 Butchers can safely handle the knife thanks to its slip-resistant, textured handle. 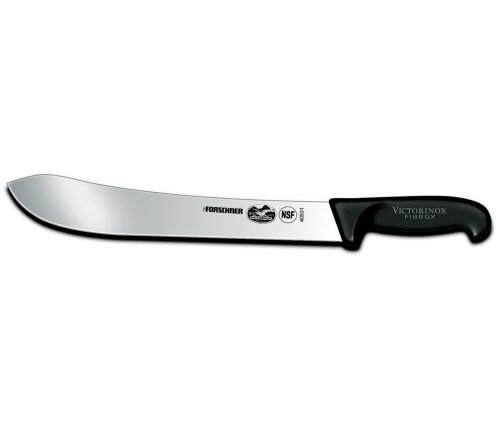 The Victorinox Cutlery 12-Inch Straight Butcher Knife with Black Fibrox Handle has an ergonomic design. 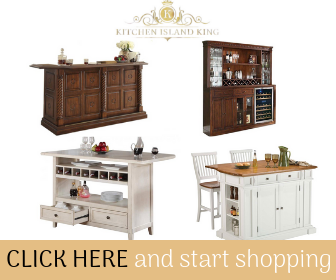 You’ll find it comfortable to cut whole roasts and big cuts of meat. This 12-inch butcher knife is ideal for large butchering jobs. It is also easy to clean and sharpen. The Dexter-Russell (S112-10PCP) 10″ Butcher Knife is hand-sharpened on the production line. It has a straight edge and pointy tip. The pointed tip is helpful for making incisions in meat and cutting small items. Its blade is made of stainless steel, so not much work in upkeep is needed. 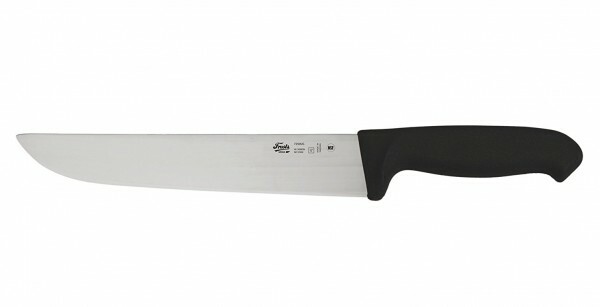 The Dexter-Russell (S112-10PCP) 10″ Butcher Knife is hefty, weighing 0.58 lbs but is well-balanced. It is safe to use, featuring a Grip-Tex handle that prevents slippage. The knife lasts long because of quality edge retention as well. It’s ideal for professional butchers who need to slice large roasts into thin portions. Ontario Knife Company’s Old Hickory line has some of the best butcher knives. The 7111 Old Hickory Butcher Knife is a good butcher knife for the grill. It features a 10″ carbon steel blade with full tang and a traditional hickory handle. Not many butcher knives are made with wooden handles anymore. If you like the traditional knives, then the 7111 Old Hickory Butcher Knife is a good choice. The BBQ Pit Boys have used this butcher knife to prepare meat in their YouTube videos. Although it’s great for cutting meat, remember it’s not stainless steel. One of the downsides of this butcher knife is you have to maintain the steel or it will rust. The knife has a decent grip and level of balance but it’s not as ergonomic as some competitors. Overall, it’s still one of the best professional butcher knives you could own. Global is a Japanese brand of knives praised for their cutting performance, iconic design, and innovative manufacturing methods. One of their best butcher knives is the GF-27 7 Inch Heavyweight Butcher’s Knife. Don’t let its shorter blade fool you. This professional butcher knife cleanly slices through meat and stays sharp through an 8-hour work day. The blade is made of stainless steel and a characteristic Japanese edge with a long taper. It stays sharp for longer periods of time because it’s face-ground with a long taper. The stainless steel handle is dimpled for a secure grip and has an ergonomic design. In addition to being an excellent butcher’s knife, it works well for cooking meals at home. The blade’s shorter size is easier for non-professionals to handle. Mora of Sweden, also known as Morakniv, has a long history of manufacturing knives for professional chefs and butchers. 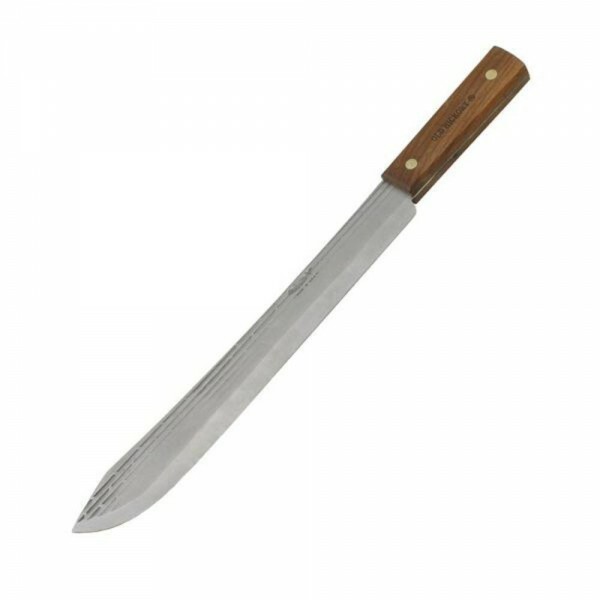 This Frosts by Mora of Sweden butcher knife is trusted by several food professionals around the world. It’s a stiff flexibility knife with a slip-resistant commercial grade polyamide handle. The blade is made of stainless steel and was hardened via deep refrigeration for maximum hardness. This Swedish butcher knife can effortlessly slice semi-frozen rib roast into steaks. All of the brands on this list are recognized around the world for high quality professional butcher knives. These knives have sharp blades and handles with good grip. They are built to stay strong through a full work day without slipping out of your hand. You could also use one of the butcher knives at home for an easier time cooking meat. Which of the professional butcher knives are you most interested in owning from this list? Do you have experience using butcher knives?